Ali Noroozi's report into the ATO's management of debt owed to it found that there was a need for better "top-down" supervision of junior officers, who often make errors in deciding who owes it money and how much. Collectable tax debt hit $20 billion in 2013-14, of which the majority (60 per cent) is owed by small business. Mr Noroozi said while the ATO had taken positive steps to manage debt and ensure its officers were better trained, new staff lacked formal training and some officers who had undergone training had "reverted back to the previous mindset and took enforcement action where it was perhaps not appropriate". Junior officers were being authorised to make important decisions without senior officer approval, such as garnisheeing taxpayer bank accounts up to $50,000, he said. The Tax Office has already faced 3000 job cuts, with another 1700 to follow in coming years under the Abbott government. "There is still a need for better supervision of staff, " Mr Noroozi said in his report, released on Tuesday. "ATO officers may have limited access to previous quality decisions and precedents. Without access to such materials, ATO officers may be tempted to form their own perceptions of good decisions." He recommended that the ATO consider merging its debt and audit areas, as well as working closer with its legal officers. The ATO has disagreed with that recommendation, saying only it would consider new structures as part of ongoing cultural change. It also disagreed with a recommendation to make taxpayers aware of their right to request that the ATO not offset tax credits against debts at the start of discussions with the agency. Mr Noroozi's other recommendations included requiring team leader approvals for decisions, training to increase commercial awareness, and better monitoring of staff adherence to policies. He said taxpayers were becoming less engaged with the ATO because of a "recent sudden shift from a softer debt collection approach during the peak of the GFC to a firmer approach in recent years, which it is alleged occurred without warning". "They also believe that any such shift in approach should be effectively and clearly communicated to ensure that taxpayers understand the ATO's reasoning and prevent perceptions of political motivation for such actions," he said. While the ATO was right to try to take swifter action to recoup debts, "the manner in which the ATO pursues debt recovery should not jeopardise a taxpayer's ability to generate future income and economic contribution in ordinary circumstances". "There is a difficult balance to strike between recovering tax debt efficiently and minimising risk to government revenue on the one hand and providing appropriate financial accommodation to the taxpayer on the other. "Indeed, some commentators have suggested that enforcement strategies that elicit feelings of resentment towards compliance and towards authority may lead to subsequent non-compliance. "The challenge for the ATO will be to gain support for their strategies and minimise perceptions such as more aggressive pursuit of small businesses than large businesses." Mr Noroozi's review found that the ATO commonly pressured taxpayers to make a 50 per cent upfront payment, with short payment timeframes for the remainder of the tax debt. "The ATO needs to be more flexible, better consider taxpayers' circumstances and the consequences of future debts arising," he said. "Some taxpayers are believed to agree to the ATO's terms even though they cannot afford the payments and do not appreciate the consequences. For example, when unaffordable arrangements are later renegotiated, the ATO considers this to be a 'default', which makes it difficult for taxpayers to enter into arrangements in future." There was also an inconsistent approach from ATO officers, he said. "An often-made comment was that it appeared to be dependent on the ATO officer you get on the day." The ATO's approach to collecting debts has been a persistent cause of taxpayers' complaints. It accounted for 23 per cent of all ATO-related complaints received by the Commonwealth Ombudsman during the 2012-13 financial year. The ATO also received 3720 complaints over its debt-related activities during 2013-14. Debt-recovery activities generating the three largest amounts of complaints were payment arrangements (376), garnishee notices (211) and offsetting debt (242). Mr Noroozi said a range of stakeholders had expressed "strong opposition" to the ATO's use of external debt collection agencies to recover tax debts. Between September 2011 and June 2013, a total of 801,376 cases had been referred to external agencies, representing a total value of $3.6 billion. Actual collections for this period were about $2.4 billion. Mr Noroozi recommended that the ATO make public its reasons for using external debt collection agencies. The ATO agreed only in principle, saying its was limited in what it could publish because of the "commercially sensitive nature" of its contracts with debt-collection agencies. 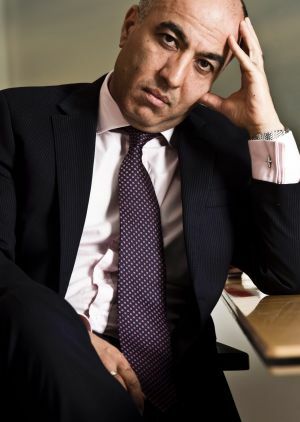 While the ATO agreed to recommendations relating to improving staff supervision and decision making, Mr Noroozi said: "The ATO's commentary appears to limit its agreement to pre-existing arrangements and does not address the part of the recommendation aimed at improving the supervision of junior staff who issue garnishee notices." Overall, the IGT made 19 recommendations, 16 of which the ATO agreed to, agreed in principle or agreed in part. Mr Noroozi welcomed ATO agreement on most of his recommendations but said the "ATO's associated commentary raises potential governance concerns, as it creates substantial uncertainty with the scope of agreement and risks inadequate implementation of recommendations". "Furthermore, elements of recommendations are not addressed, or the ATO appears to be effectively disagreeing with them." The recommendations were an integrated package, he said. "As the ATO has disagreed or effectively disagreed with certain recommendations or aspects thereof, the full benefit of the intended integrated outcome may not be realised." An ATO spokeswoman said that for the small number of individuals or businesses that fail to pay their debts, the ATO was taking a "stronger approach" in targeted cases. This had included the use of legal recovery action, initiating bankruptcy and wind-up action where there is evidence that a taxpayer is insolvent. It also involved more active use of legislative powers including broader use of garnishee notices and director penalty notices. But she said the ATO recognises that "even viable, well-run businesses occasionally experience short-term cash flow issues and the ATO will continue to work with them and support them in meeting their obligations through payment arrangements, remission of interest and hardship provisions". Chartered Accountants Australia and New Zealand tax leader Michael Croker said debt negotiations require a fine balance between giving the taxpayer a fair go and collecting the tax rightly payable.